What's New in this Lightroom Release > Lightroom Classic Updates > What’s new in Lightroom CC 2015.5.1 and Lightroom 6.5.1? Lightroom CC 2015.5.1 and Lightroom 6.5.1 have been released today. It’s only a double-dot update this time, intended to add support for a couple of new cameras and fix serious bugs. If you use Mobile Sync, when you open Lightroom after the update, you’ll need to sign back in. Click your Identity Plate in the top left corner and then select Sign In. Enter your Adobe ID and password to continue syncing. EXIF lens name was not imported for some camera models (most notably Nikon cameras). This is fixed for future imports. To fix missing lens metadata for photos imported using 2015.5/6.5, install this update and then follow these official instructions (or scroll down for the more user-friendly version). Mac only – The incorrect folder permissions error message was a little overzealous and wouldn’t let you open Lightroom without first fixing the errors. Lightroom now allows you to ignore the error message if it’s not causing problems, but it’s still worth fixing the incorrect user permissions, which are often caused by OS upgrades or other software installing presets/plug-ins. Apple have stopped updating QuickTime on Windows, and authorities are recommending Windows users uninstall QuickTime due to security risks. Lightroom uses internal code for most video playback, but a few video formats still used QuickTime. In this update, Adobe have removed these dependencies on QuickTime for Windows, but don’t worry, most video playback will continue to work as normal. How do I restore missing lens metadata? In the Library module, select All Photographs from the Catalog panel in the top left corner. Above the Grid view, select Metadata from the Filter Bar. Select all of the photos in Grid view and go to Metadata menu > Write Metadata to Files. With the photos selected, go to Metadata menu > Read Metadata from Files. This creates sidecar XMP files for the affected raw files, and updates the header of any JPEG/TIFF/PSD files. It doesn’t affect the image data, but it’s worth erring on the side of caution by ensuring you have backups of your photos. This won’t update virtual copies, and there isn’t a quick way of doing so. You could select a virtual copy and go to Photo menu > Set Copy as Master and then repeat steps 4 and 5. You’d need to do each virtual copy individually, and then decide which version to set as the master again. Alternatively, if the virtual copy only has different Develop settings, update the Master, create new virtual copies and copy/paste/sync the Develop settings from the old VC’s onto the new ones. This process creates an additional History state and sets the Develop module’s Before/After preview to the current state. If you want to compare with the ‘Import’ History state, right-click on it in the History panel and select “Copy History Step State to Before”. Does this update (or any other update) address the permissions error bug that has caused Mac users a lot of problems? Thanks Victoria, I’m not sure how I missed that. Ugh.. time for new reading glasses. Cheers! Happens to all of us Stephen! They were imported at the time using LR4. Try the same fix on one of them Guido, and see if it works. Older cameras weren’t entirely reliable in writing lens metadata, so it might not be included in the file metadata itself. Trying to fix these (also by using an external EXIF editor as LR6.5 does not display a lens type field for these pictures) won’t help. I belief they will simply have to remain as they are, because using an external EXIF reader, before making any changes, does not show any information on lens type used either (there is even no datafield for lens type or manufacturer showing up) . Therefore I belief that DSLR cameras from around 2004 (which is the case for Canon 300D) might have used another EXIF version(??) at that time, which did only record the lens setting….or otherwise be related to the 300D camera itself. That’s strange Don. You’re definitely in the Library module > Grid view? What do you see at the bottom of the Metadata menu? I have the same trouble as Don. The menu items Save Metadata to Files and Read Metadata from Files are greyed out. Double-check that the photos are online – not on a disconnected hard drive or otherwise missing – as that would cause them to be greyed out. There were a few in folders which had been moved which seems to have caused my trouble, although 90% were on-line. Once I synchronised the folders and remapped a couple the menu items became available. I still have a few files without the metadata but these are JPEGs made from the raw files while they didn’t have the lens info available. Not expecting to fix that and not worried about it! I had 23,000 photos with an ‘Unknown lens’. Clicked ‘Save Metadata to File’ and nothing happened, or it happened very quickly I thought. Then clicked ‘Read Metadata from File’. A minute later, it started saving. Another minute later it started reading at the same time. So I cancelled the ‘read’. I guess we’ll see what happens. Currently at 1% on the save. In Lens Correction (Profile Unit) in Develop, it asks me to select lens profile, but I have Fujifilm X-E2 and two zoom lenses, and none of this equipment is available to choose. Is this a concern? Are you shooting raw or JPEG Steve? It would be completely normal for JPEGs not to have lens profiles available as they’re fixed in camera, but if not, which lenses? If you’re writing the metadata to the files to fix the lens bug, then yes, it would be normal to create an xmp file. If you’re not, and auto write is unchecked, then you may have a bug! 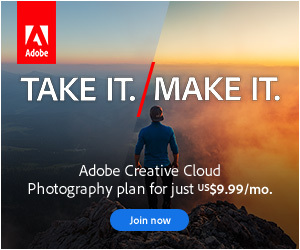 Try uninstalling, reinstalling LR 6.0 from https://helpx.adobe.com/lightroom/kb/lightroom-downloads.html then redo the update. I’m getting dizzy. The Adobe updates seem to be coming faster. Still at 10.9.5 (Mac) and LR 6.4. All works well, so “it ain’t broke”. Is there a big advantage to the double upgrade? ( i.e. El Cap and 6.5.1). Really love your stuff, Victoria. If you’re happy there and you’re not affected by the bugs noted in my what’s new blog posts, you can stay there. Will this version of Lightroom allow us to export a slideshow as an MP4? Does anyone also notice that the develop module in this release is extremely slow and sluggish? I haven’t updated. But could you add the OS you’re using? I’d sure like to hear the answers you get.